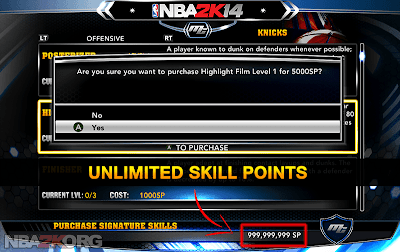 Description: This detailed tutorial will teach how to get unlimited skill points in NBA 2K14's MyCAREER mode using Cheat Engine. I thought this might be handy for people who wants to make a 99 overall player instantly. 2. Load your MyCareer file then go to “Player Upgrades” » Select any of the three options (Attributes / Signature Skills / Animations). 3. Take note of your current SP, which can be seen at the lower right of the screen. 4. 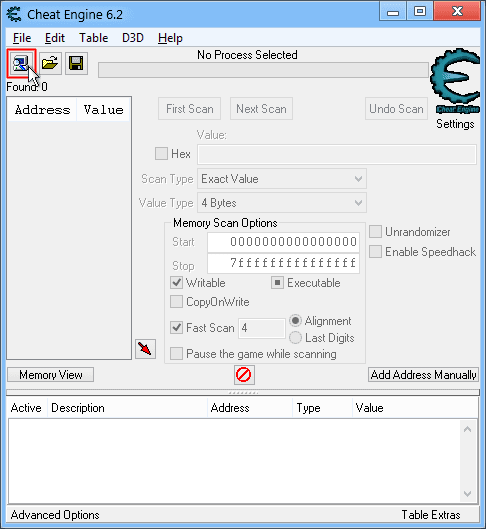 Open Cheat Engine and click the “Open Process” button. 5. 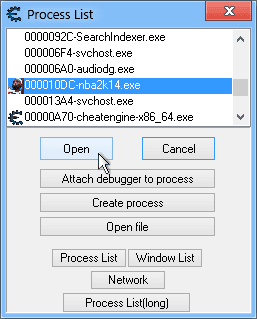 Select “nba2k14.exe” from the process list window then click the “Open” button. 6. Enter your current SP in the “Value” input box then click the “First Scan” button. 7. 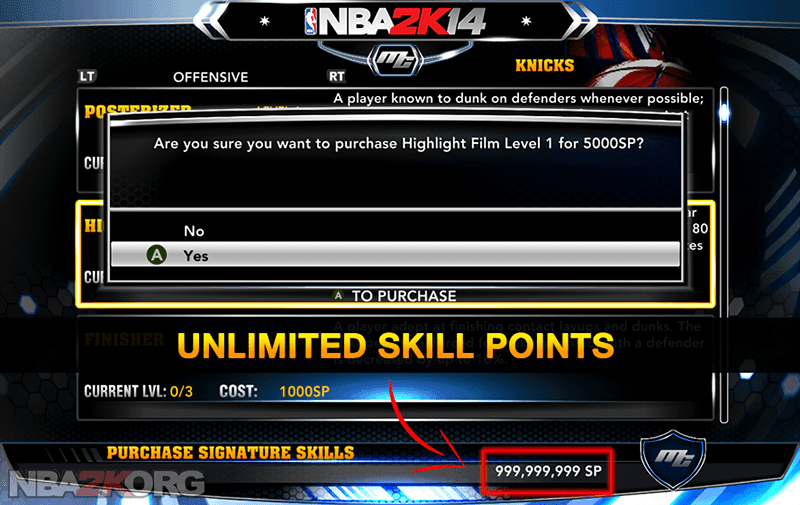 Go back to NBA 2K14 and purchase any upgrades for your player. 8. Write down the value of your new current SP. 9. Enter your new current SP in the “Value” input box then hit the “Next Scan” button. 10. You should come up with less results (usually 1-2) on the left side of the cheat engine. 11. Double-click the address and it should now appear at the bottom of the program. 12. Right click it and go to “Change Record” » “Value”. 13. Enter any value you want. For example, 999999999. Now you can finally buy all the attributes, signature skills, and shot releases/forms for your MyPlayer, even the most expensive ones!